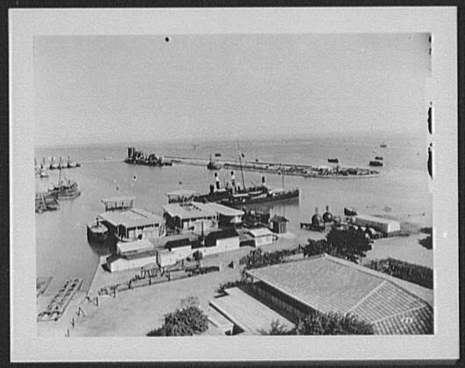 After ten years of construction and costs more than double the original estimate, the Suez Canal opened on November 17, 1869. Stretching 101 miles across Egypt's Isthmus of Suez, from Port Said in the north to Suez in the south, the waterway connects the Mediterranean Sea with the Indian Ocean. 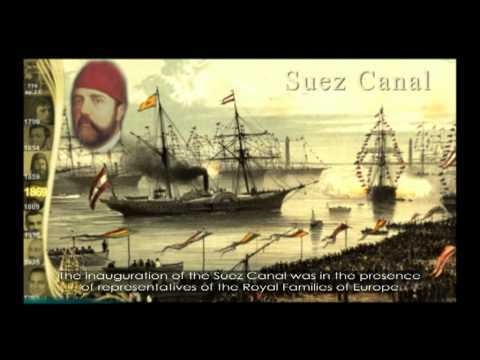 In 1888 the Convention of Constantinople was signed—"respecting the free navigation of the Suez Maritime Canal" and opening the canal to ships of all nations. 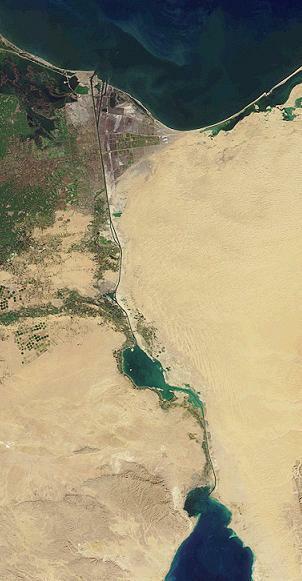 The longest canal in the world without locks, the Suez Canal is one of the world's most heavily traveled shipping lanes and the fastest crossing from the Atlantic to the Indian oceans. The canal is 192 km (119 mi) long. The maximum depth of the canal is 66 feet (20 m). It is single-lane with 4 passing places north and south of the Great Bitter Lake, and links the Mediterranean Sea to the Gulf of Suez on the Red Sea. It contains no locks; seawater flows freely through the canal into the Great Bitter Lake from both the Red Sea in the south and the Mediterranean in the north, replacing evaporation.